This malware will modify the Name Server settings on the machine and then perform network callbacks to domains configured in the binary. The data is sent encrypted over the network and it is sent through both HTTP HEAD and POST methods. 1. Name Server modifications made to the Operating System. 2. Encryption method used for network callbacks. 3. Data sent in the callbacks. As an example, I will consider the binary with MD5 hash: e789b3ef034427bf09676f522512858f. This binary will perform the following modifications to Windows Registry for changing the Name Server used by Operating System. As we can see, two new name servers are added. The primary name server added is: 199.203.131.151. After making the above Windows Registry modifications, it calls the API, DhcpNotifyConfigChange for the changes to take effect. This means that all the DNS queries will be routed through the name servers configured above. Now, let us look at what data is exfiltrated from the machine and how it is encrypted. Below are the different steps used by the binary for encrypting the data. 1. It generates a seed. The seed is generated using GetSystemTimeAsFileTime(). 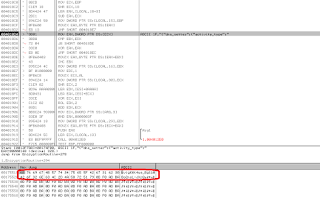 The seed generation routine is similar to what we observed in Nivdort malware. 2. It then decrypts a base key. This base key is later used along with the data to be encrypted. 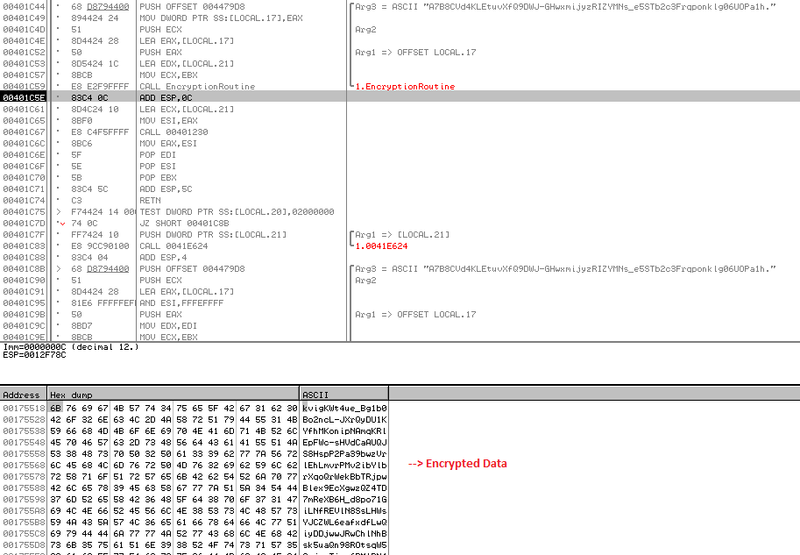 The screenshot below shows the decryption routine and the corresponding encrypted key. 3. After the decryption is completed, we can see the 64 byte key. 5. Let us look at the encryption routine now. Below is the call to the encryption routine. 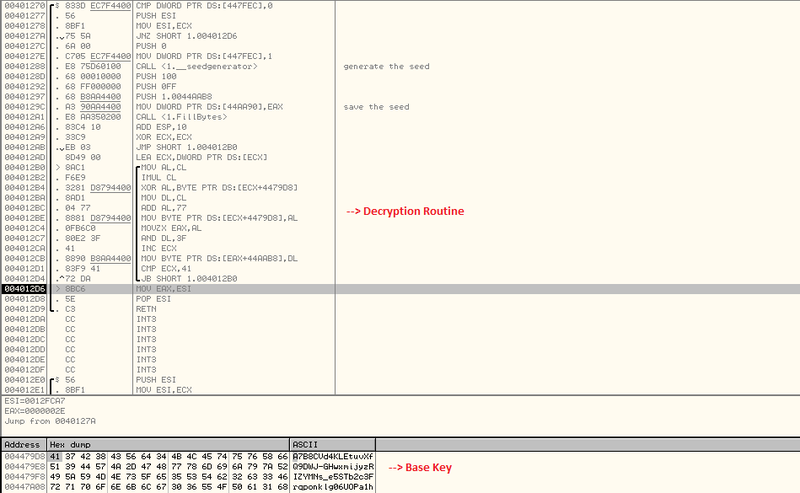 We can see that one of the parameters passed to the subroutine above is the 64 byte decrypted base key. 6. 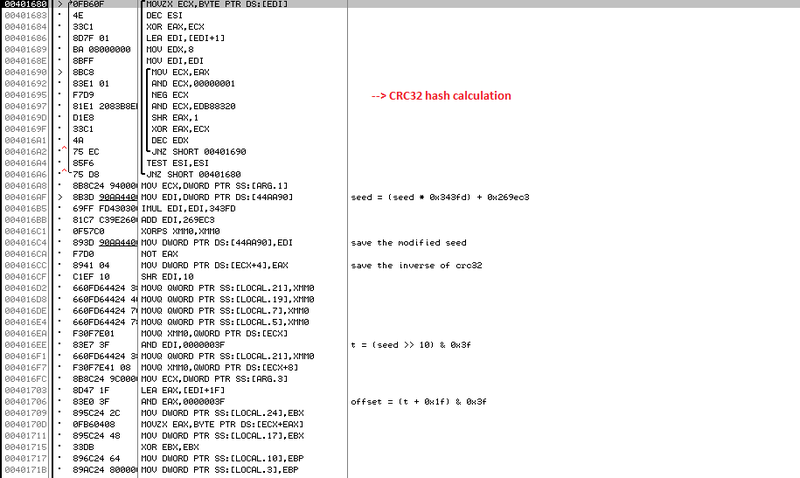 In the encryption routine, it first calculates a CRC32 hash from the data to be encrypted. It then uses the seed previously calculated. It performs the following computations on the seed to calculate a one byte offset. 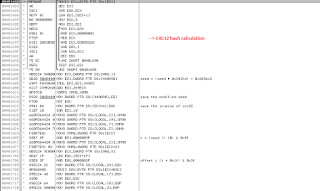 The final calculated value is used as an offset into the 64 byte base key. 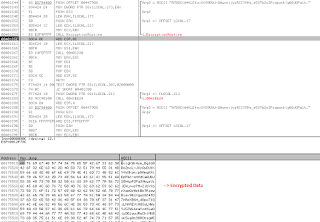 In this way, the first 28 bytes of the encrypted data are calculated. It then sends an HTTP HEAD request to the callback server. In the HTTP HEAD request it sends the encrypted data. The domain names are present in plain text in the binary. Below are some of the domain names. 1. All the domains were registered after Oct 2015. 3. All the domains are hosted on a dedicated server with IP address: 185.17.184.10. 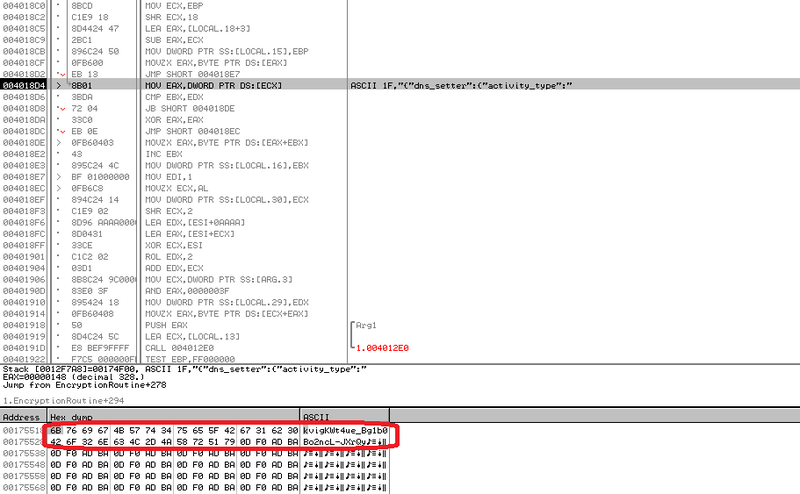 This malware is interesting because of the way it encrypts the data before sending it to the callback server.